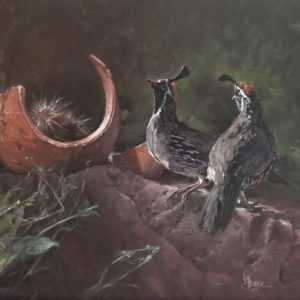 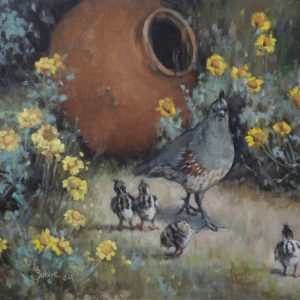 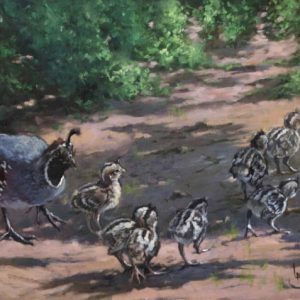 A scene depicting those quail that frequent our gardens. 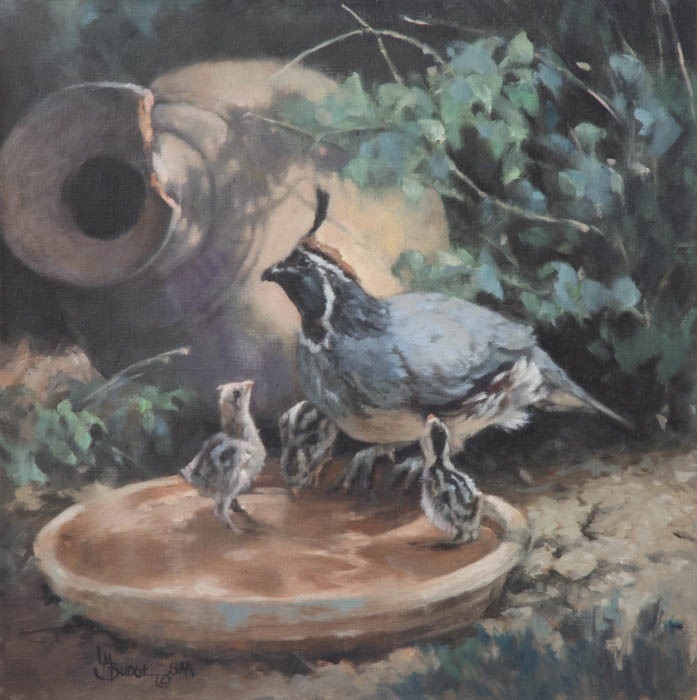 Who can resist these adorable birds, and particularly the babies. 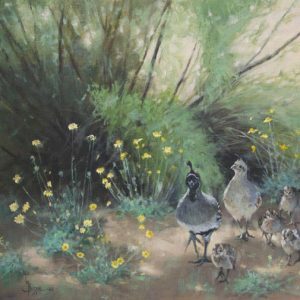 This is a painting that I designed with a series of circles, soft, muted tones and desert colors.